Nicholas Rademacher's book is meticulously researched and clearly written, shedding new light on Monsignor Paul Hanly Furfey's life by drawing on Furfey's copious published material and substantial archival deposit. 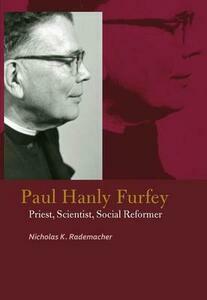 Paul Hanly Furfey (1896-1992) is one of U.S. Catholicism's greatest champions of peace and social justice. He and his colleagues at The Catholic University of America offered a revolutionary view of the university as a center for social transformation, not only in training students to be agents for social change but also in establishing structures which would empower and transform the communities that surrounded the university. In part a response to the Great Depression, their social settlement model drew on the latest social scientific research and technique while at the same time incorporating principles they learned from radical Catholics like Dorothy Day and Catherine de Hueck Doherty. Likewise, through his academic scholarship and popular writings, Furfey offered an alternative vision of the social order and identified concrete steps to achieve that vision. Indeed, Furfey remains a compelling exemplar for anyone who pursues truth, beauty, and justice, especially within the context of higher education and the academy. Leaving behind an important legacy for Catholic sociology, Furfey demonstrated how to balance liberal, radical, and revolutionary social thought and practice to elicit new approaches to social reform.